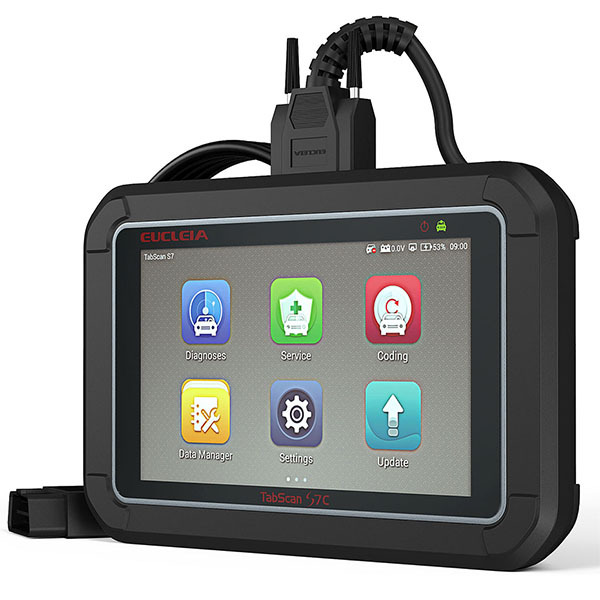 EUCLEIA S7C OBD2 Diagnostic Scanner is designed with an easy to use Android operating system. 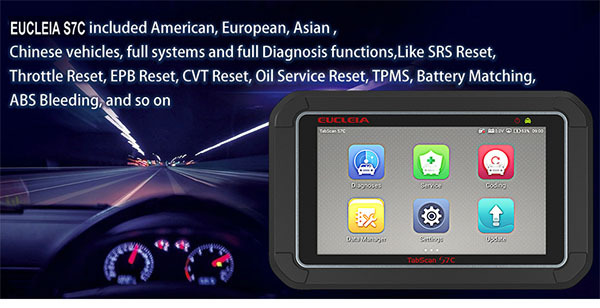 Automotive Scanner EUCLEIA S7C support ALL 5 OBDII protocols and ALL 10 test modes. it with ABS EPB CVT TPMS Oil Service Reset ABS Bleeding. 4. 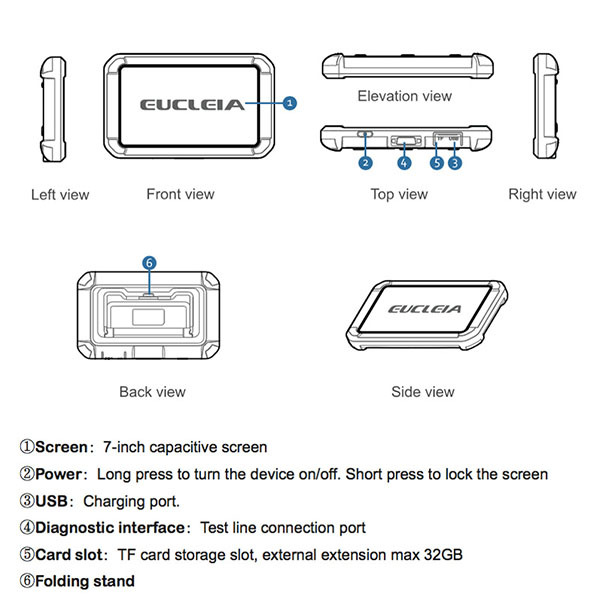 OBDII function, support ALL 5 OBDII protocols and ALL 10 test modes. 6. 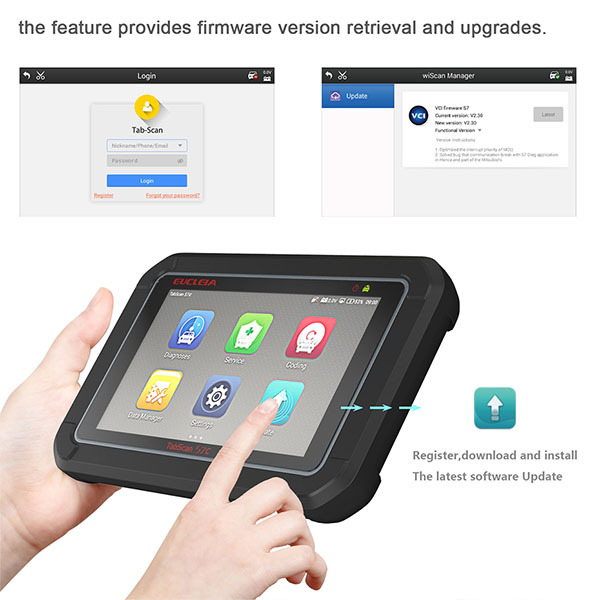 With brand-new design, the tablet features in stability and anti-interference,waterproof, dustproof, shockproof protection module is able to protect scanner and vehicle against accidental damage during checking. 7. Extensive vehicle coverage for more than 65 brands car maker from US domestic, European, Asian, China. the auto bleed procedure is used on brake pump equipped vehicles. this procedure uses a scan tool to cycle the system solenoid valves and run the pump in order to purge the air from the secondary circuits. 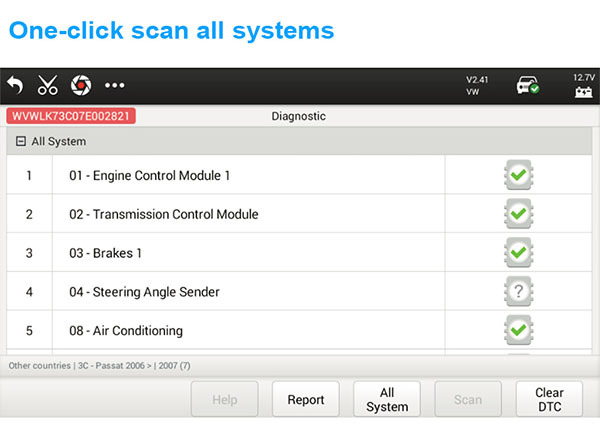 allows you to perform reset for a new calculation of Engine Oil life system once changed the oil. 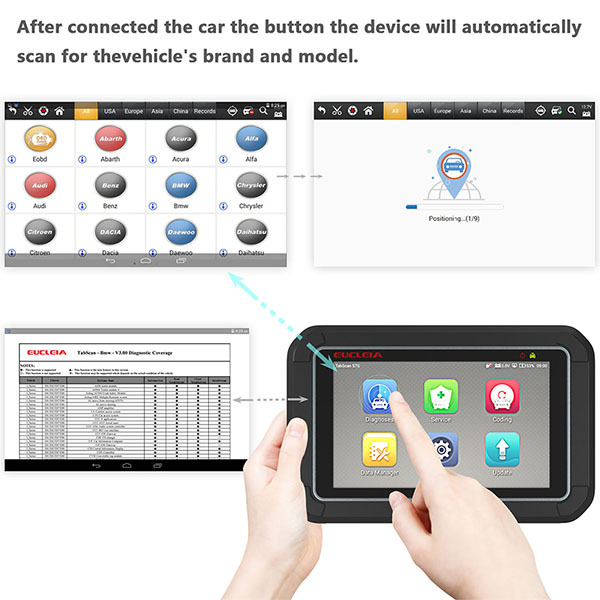 makes TPMS sensor in displaying sensor IDs from the vehicle's ECU, inputting TPMS sensor replacement IDs and testing sensors. read pin code from vehicle security immo system, mainly used to disable the lost vehicle keys and program a new replacement key fob. The system also includes the most recent auto-VIN technology, to identify vehicles with one touch, and the exclusive auto-Scan function. 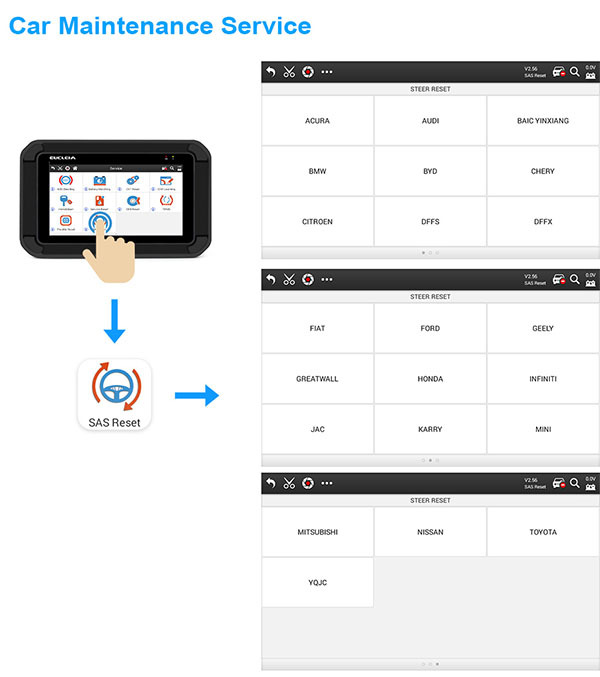 One-click clear DTCs, one-click update, data record and replay, workshop manager, database query, repair video research, vehicle data manager, etc.